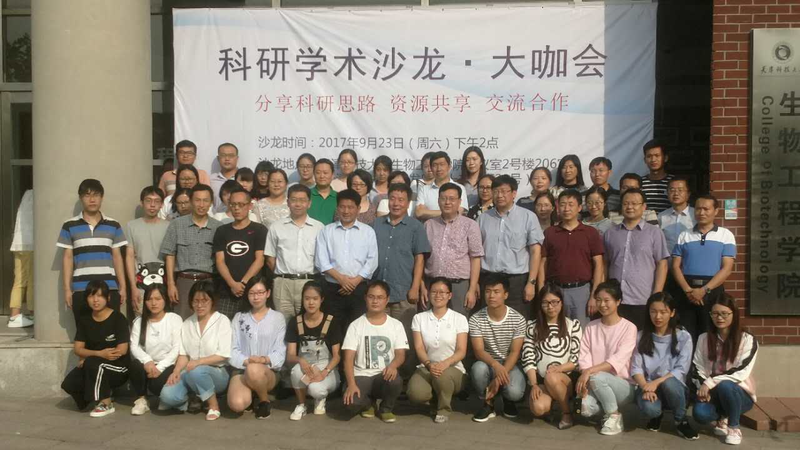 Dr. Jianwei Zhu Chief Executive Officer and Chief Scientific Officer of Jecho Biopharmaceuticals Co., Ltd. was invited to Tianjin University of Science and Technology (TUST) for a seminar to graduare students and faculties. The event was organized by local biomedical science community and School of Bio-engineering of TUST. It was on Satauday and over 100 students and faculties attended the event. The seminar was focused on technology innovation and novel biotherapeutics development based on Dr. Zhu's broard experiences and achievements in the field. Brief discussion on strategical collaborations between Jecho and the University was held after the seminar. Jecho Biopharmacals is the first company invested in China by Jecho Laboratories, Inc., an American biopharmaceutical company. Located in Sino-Singapore Tianjin Eco-City in the Tianjin Binhai New District, it is now establishing a world-class R&D and production base for a wide range of biological medicines. The base will be constructed in two phases. It focuses on researching, developing and producing innovative biological medicine to treat critical illnesses ( i.e. cancer and infectious diseases). At present, the first-phase construction has come to the final stage. The project is estimated to generate a value of more than 500 million RMB and create 1500 jobs locally when completed. At the same time, the base willbecome an addition to the biopharmaceutical industrial chain in northern China, which will certainly create enormous returns and significant benefits.